....has apparently died. Aged 47. A man who was passionate about anime and championed quality to the end. The master of the psychological thriller. I'm hearing word that he may have had cancer and been in poverty. We need to commemorate this guy. Any chance of a Kon titles only night? I feel the need to marathon Paranoia Agent. 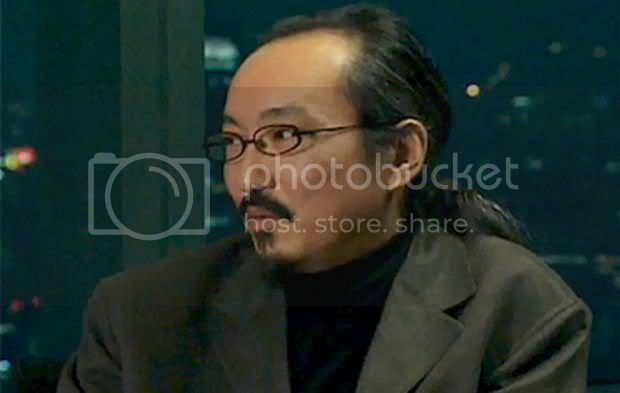 Actually, a Satoshi Kon Night sounds like a good idea.....who else would be up for it (hints to all the othe forum users)?? You know I'm in. I'd be sure Mappy is too. Well, I'll bring it up at the next meeting. I'm thinking that if we do have a night it would be the 3rd tuesday of next month, since the first week's already taken at this stage. I'm totally down with such a venture. He did some damn fine work. You didn't think that robots were the only thing I liked, did you? Kon learnt of this on May 18. He was told he would only have six months left at most. He barely made it to three. Well, I'll be leaving now. This is one of those very rare occasions I have a tear in my eye. Yume Miru Kirai was apparently 85% complete in terms of animation. Audio is scheduled to be done soon. Madhouse producers swore to Kon that they would finish it no matter what and that they wouldn't mess it up. Now I know how Tool felt when they dedicated the Aenema album to Bill Hicks and proclaimed 'Another dead hero.' I feel the same way about Kon. Transcript of something he wrote a few days before death. "May 18 of this year, an unforgettable day. "The pancreatic cancer is terminal and has metastasized to the bone. You have at most a half year left." Even though, I usually deep inside myself did think: “No matter when you die, it can't be helped”, this was just too sudden. Certainly, there may have been symptoms. Since 2 – 3 months, I had been feeling pain on my back and my knees etc. I became unable to put any strength into my right knee, got problems walking and even by going to acupuncture and chiropractics it didn't get better. And then the result of doing MRI and PET-CT is this sudden declaration of how much time I got left. It was like death was already just behind my back, and I couldn't do anything about it. After the diagnosis, my wife and I searched for a way to survive. Desperately. I received the support of reliable friends and extremely strong persons. I refused the cancer medication and tried to survive by believing in a world-view that differs slightly from that of the rest of society. However. Just like with the creation of a movie/work of art, I couldn't change things only with my willpower. The symptoms did keep getting worse day by day. On the other hand, even I, as a member of society, have accepted about half of the world-view of the norm. I'm properly paying my taxes after all. Far from outstanding but without a doubt I am a full member of Japanese society. That's why, separately from my private world-view I chose to survive, I feel that I have done the necessary “preparations in order to be able to die properly”. Even though, I didn't do them properly at all. The first was, by receiving the cooperation of two trustworthy friends, creating a firm to manage the copyrights of Satoshi Kon, ephemeral as they may be, and so on. The other one was to write down my last will, in order for my wife to inherit my fortune, even though it is not much, without a problem. Of course, it's not like there would have been any conflict over the inheritance. I just wanted to take away at least one of the worries of my wife, who was going to stay behind in this world and that would calm down myself, who was about to leave. We were helped out by a friend, who amazingly managed to swiftly deal with my wife's and my terrible administrative work and the preparations etc. Afterwards, when I put the final signature on the testament while being half in a comatose state because of life-threatening pneumonia, I even thought exhaustedly “now I can finally die”. After all, I had been brought by ambulance to the hospital two days in a row. I was hospitalized and examined thoroughly. The result: complication with pneumonia and a considerable pleural effusion. When I asked the doctor directly, his answer was extremely matter-of-fact, which in a way I am grateful for. While listening I thought “I'd like to see the weather forecast”, but the situation was very stressful. It was the 7th of July. A quite cruel Tanabata. It might become a last big disturbance to the people around me, but somehow they found a way to bring me home. The efforts of my wife, the cooperation of the hospital, which while being kind of an attitude of “already gave up” actually did really help, the enormous support of a private clinic, and finally lots and lots of coincidences, that I cannot consider anything else than gifts of the heavens. I couldn't believe that coincidences and inevitableness being connected to each other without interruption so perfectly could exist in reality. I mean, this is not Tokyo Godfathers after all." While my wife was running around making plans, I turned to the doctor saying, “even if it's only one day, or even half a day, at home there are still things I can do!”. After that, I was left to wait for death, alone in a dreary/dark sick room. There wasn't any particular reason, maybe I wouldn't have been able to take it otherwise, but I was so calm, it surprised me myself. I felt amused by the fact that even in a time like this my “professional consciousness” was working, but actually that might have been the moment I was the closest to death. I really did feel death next to me. While I was enclosed between the world of death and my sheets, thanks to the efforts of many people, I was miraculously able to leave the hospital, and to reach my home. To be clear, I am not criticizing the hospital, please do not misunderstand. I just wanted to go home. Home to the house I'm living in.